As the world grows more and more globalized, though many of us are now opting to work from home business travel is equally on the increase. Despite useful technological advances such as Skype and FaceTime, business relationships are still founded on human interaction and rapport. Interfacing continues to be regarded as the best way to gauge the intentions, character and spirit of a potential business associate. 1. Luggage – The first thing to think about is nothing more complex than packing. Packing can be stressful for the most Zen-like of us; leaving a phone charger or particular file back at home can seriously disrupt a business trip, even if it is only a short one, and the fear of doing this can send us all into a flurry. Not only may you waste time twiddling your thumbs on a long flight but you may also end up stacking up unnecessary costs on toothbrushes and spare ties. Such expenses sound paltry but they add up. To reduce the chance of you forgetting to pack something, rather than packing bits and bobs over the days leading up to your trips, set aside a specified hour or two and plan to do it all then. This way you will know exactly what you have put into your case and what you haven’t. You will not have to dive back into it to retrieve a book you want to glance at before you leave, or turn the whole thing out to check if you packed your hair straighteners. In addition to this, if you are a frequent traveler it is worth setting aside a drawer in your house for travel essentials. When you can, pack light so to avoid checking in luggage and thereby save time. 2. Booking Flights – Book your flights in advance and think carefully about when you are flying. Though we all know to avoid public holidays such as Thanksgiving and Christmas, ensure that you are aware when schools are breaking up and when mid-terms fall. Flights will rocket at these times and if you are childless it can be easy to stumble into booking an expensive flight with a throng of boisterous kindergarten kids. Additionally, ensure that your ‘direct’ flight is also a ‘non-stop’ flight; you don’t want to be sitting on a runway for an hour while more passengers lumber on. Time is money, so plan carefully to avoid delay. 3. City Transport – Indeed, when you have reached your destination you need to weigh up just how much your time is worth. Travelling by the subway or public bus will likely be the cheapest but you are going to spend more time on the road (or rails) and will most probably be unable to use the time efficiently. It may be worth your while to consider hiring private transport so to allow you to use the time productively between meetings. Blacklane Limousines offer a chauffeuring service in all major cities across the globe. The local chauffeurs can speed you to your accommodation from the airport as well as getting you around the city. Great tips. I have a travel drawer (actually two!). The first thing I do is go though those drawers to see what I will need for this particular trip…..power converter, travel mug, water boiler thingy (very handy! ), lock (for hostels), special travel towel (wicks water away while taking little space in suitcase), passport holder, over the shoulder super strong bag with zippered pockets for multiple currencies……some of my favourite things! 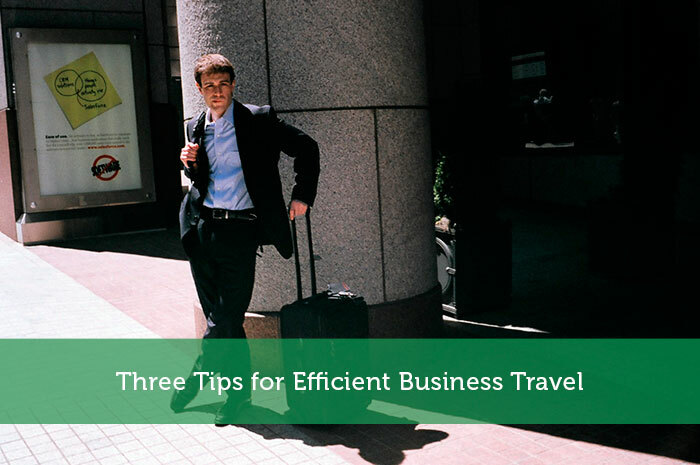 Booking your flights in advance would totally a must thing to do if you’re planning to have a business travel. Checking promo tickets and big discount, of course you don’t want to pay the triple amount of tickets when your flight is during holidays.